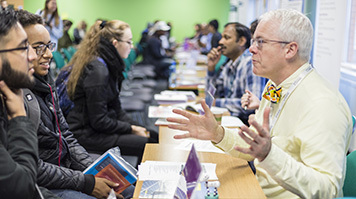 Discuss your study options with our academics, talk to current students about their experience of LSBU. From tours around our central London campus to one-to-one talks with academics about your subject area, there's so much to learn on our Open Day. Explore what's on offer below or see our last Open Day's programme (PDF File 1,257 KB). Register now on the link below, or visit our Open Days page to find out more.